Breakfast is the very first meal of the day. It therefore has to be an explosion of rapture and loaded with nutrition and energy to keep you going through the rest of the day. Nutritional experts emphasize on a healthy and hearty breakfast if you wanna keep the problems like lack of concentration, metabolism, weight, and cardiac health at bay. 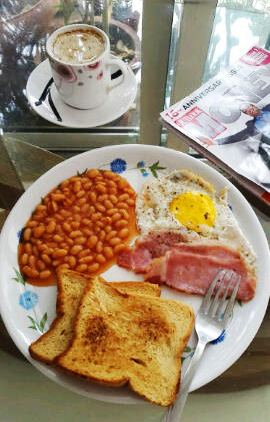 All these accompanied by a mug of perfectly brewed coffee, bundle up to make the perfect start for a perfect day.